Art economy is a branch of economics which is used to assess and analyze the materialistic values of artistic activities. During the second half of the 20th century, some prefixes like culture, art, and media were added to economics, changing it into new terms such as culture economy, art economy, and media economy. In fact, the branches have been included in the various fields of economics since production, distribution, and consumption were no longer limited to certain matters. It seems that it was the inauguration of the first Christie’s Sale in Dubai in 2006 that aroused interest in purchasing contemporary Iranian art works in the international markets for the first time. According to the announced statistics, over 40 percent of the yearly sale of art works is held in Christie’s sales. Of 85 representatives from 33 different countries, Dubai’s Christy Sale with annually recorded multi-billion dollar selling is considered to be one of the biggest sales of art works in the world. Susan Baba’ee, the art historian of London Aled Court Institute, believes that the strong passion for the contemporary Iranian art among the international clients in Christy Sale results from the amount of the production or creation of the art works in the country. Art economy is a cycle which is made up of three components. They are production, distribution, and consumption. Concerning art economics abroad, the generation of the works of art must be first taken into account. The selling of contemporary Iranian art works in the global markets in recent years reveals that the production section of Iran’s art works to some extent has a capacity of participating and competing in appropriate financial centers abroad. Regarding the supply or distribution, the visual arts across the world appear to be conducted by dealers. The supply system and the selling of art works are of great significance because it helps both an artist and his/her work which is originated from a certain background and culture be highly popular. In other words, the international supply system of art works in the cycle of art economy plays an importance role in introducing a nation’s identity to the world and identifying clients’ taste as well. It itself emphasizes the importance of art presence beyond a country’s borders or in the global markets. Needless to say, the supply system of the works of art can help increase consumers’ awareness and artists’ reputation. If this section performs properly, the cycle of art economy to great extent will be guaranteed in production, distribution, and consumption. In addition, as to buyers and customers, when art dealings are done in constant and appropriate settings, they can attract more investment on art works. Before the world economic recession, the position of contemporary Iranian art works in Christy Sale in 2008 was considerable. Only after its short presence in this international market, the amount of Iran’s art sale went up to $ 29 million. But, in Dubai’ Christy Sale in 2009, it decreased sharply by more than 50 percent and fell to around $ 12 million. Moreover, the imposition of sanctions against Iran in 2010 even had a negative effect on the biggest annual international sale in which contemporary Iranian art could hold a special place. Since then, Iran’ art progress began to decline in the world markets. The growth and development of art and culture can lead to the flourishing of other fields. Therefore, it is necessary to pay close attention to the art markets outside the country. It seems that over recent years Iran’s contemporary art has been changing because of taking part in foreign markets to display its visual arts. Moreover, under such circumstances, easy accessibility to bazaars in some countries like Malaysia’s has drawn some artists’ interest and attention to itself. The main questions raised here are that to what extent Iran’s art share in Malaysia’s market is and whether effective marketing activities has been carried out so far. Although Malaysia in art economics is hardly comparable with the international events like Christy Sale and art markets in the developed countries, a lot of Iranian artists have shown their interest in establishing art and cultural relations between two countries thanks to its Islamic culture, its geographical situation in Asia, and its good political ties with Iran. 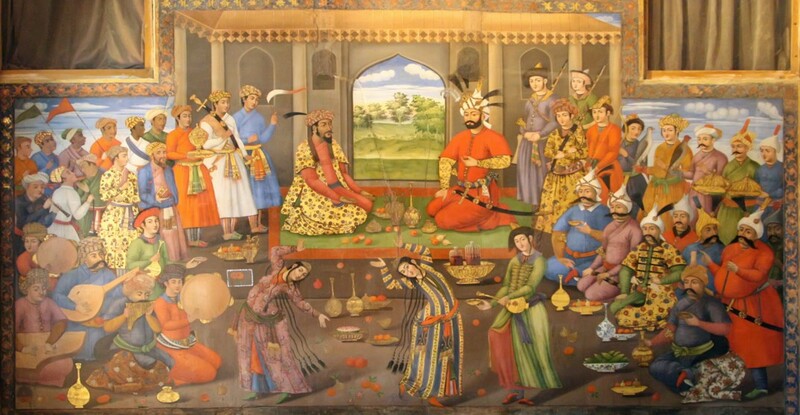 However, it appears that most of the eager Iranian artists are unaware of the details of the bazaars in this country and that enough research to inform them in this regard has not been conducted yet. To study and realize Iran’s art position in Malaysia as well as art and cultural relations between the two countries in recent years, you can refer to the activities of private sections, the establishment of the Iranian art gallery in Kuala Lumpur, and the participation and competition of Iranian visual works in the international events. The foundation of the first art gallery with Iranian management in 2008 and holding different exhibitions in it also contributed to forming a group of Iran- Malaysia artists. Furthermore, the support of Iran’s cultural counseling Center as a state center in holding fairs make Iran’s art market to be built up and recognized by the world financial institutions. Art Expo Malaysia is considered to be one of the largest markets for selling the visual arts in Southeast Asia. The international art event began its activity in 2007 and made a sale less than 2.5 million Ringgit, around $ 550,000. This fair managed to break its financial record and made the highest sale over 20 million Ringgit, around $5 million, in 2014. In recent years, over 30 Asian and European countries have taken part in this annual art event. Iranian artists for the first time in this international art exhibition in 2013 made around 30,000 Ringgit – over $ 7,000 – from the sales of some of their art works. In 2014, almost all of the works presented in Iran’s pavilion were sold at the price of three times as much as last year’s price. However, the sale of the visual works is the main point which failed to welcome at Art Expo Malaysia in 2015. In comparison with art works introduced in these three years, tile-works displayed in the style of the Islamic art warmly welcomed by buyers in 2013. The modern paintings of an Iranian artist who had combined them with Iranian calligraphy also looked appealing in 2014. Painting Works like miniatures, however, were not welcomed by clients in 2015. The reason is likely to be the lack of awareness about Iranian art. The following are a number of factors for the small presence and share of Iranian art in Malaysian markets. The study of Iran’s art exhibitions in Malaysia and the total number of art products sold in them reveals that Iranian artists’ works are unknown in this country. Despite some Iranian artists’ interest in knowing the Malaysian art condition, the art connections appear not to be sufficient and the display of Iran’s art works have been rarely produced in Malaysia. In fact, the responsibility is mostly on the small Iranian art community’ shoulders living in this country to introduce a paltry amount of contemporary Iranian art works. On the other hand, it seems that Iranian art products were mainly purchased tastefully and it was not the result of building brand names for them in Malaysia. In other words, today, the pricing criteria of the contemporary art works of the world are determined based on brand names through dealers and owners of art galleries. Therefore, the vacancy for such salespeople to present and sell Iran’s art in Malaysian markets is obviously felt. The various numbers of reports on art and cultural relations between Iran and Malaysia shows that the two sides are interested in exchanging art products of each other, but it rarely occurs in practice. The Malaysian Contemporary Arts Museum which intends to hold an exhibition of art works of different periods of Iran such as the Seljukid and Safavid dynasties and the Malaysian Islamic Arts Museum, the biggest Islamic arts museum in Southeast Asia, which has kept a treasury of Iranian art in it, have constantly expressed their interest in expanding art ties and exchanging important art works to be showcased in exhibitions of both countries as well as cooperating in developing and fulfilling joint research plans based on the Islamic art. It represents that this country have great interest in knowing Iranian art, specifically its historical sections. It also appears that holding fairs of Iranian prominent artists’ works is only limited to few exhibitions about calligraphy. To sum up, although Malaysian art markets in comparison with the developed countries’ ones appear not to be suitable for showing the visual arts of Iran and the new generation of Iranian artists, especially those who work in the Islamic and traditional parts, are really interested in being active in Malaysian art markets, constant and successful efforts to introduce art and cultural commonalities of both countries have not been made yet. Regarding the recent great achievements of Iran in removing sanctions against itself, it seems highly likely that contemporary Iranian art works could be present in the international markets of the developed countries in the near future. However, keep in mind that Malaysia with the cultural commonalities and the cycle of art economy in production and distribution sections can be an appropriate market for the new generation to display their own works provided that serious attempts are made to introduce contemporary Iranian art, especially the Islamic art, in this country.